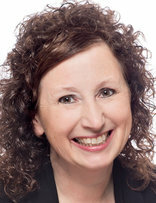 Marnie Swedberg is an online mentor to thousands of leaders worldwide. She is a keynote speaker, the author of 13 books, a syndicated radio talk show host, and webhostess of numerous websites, including the largest online directory of Christian women speakers in the world. She trains Success Principles for Coaches, sharing practical, doable success principles that maximize your productivity while reducing your stress and skyrocketing your delight in life. Her audiences leave refreshed, recharged, and ready to live joyfully to their highest potential in Christ.